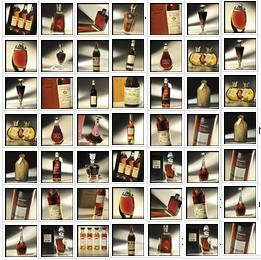 The sixth Part des Anges Cognac Auction held on the 15th September at the cellars of Cognac Monnet broke all previous records. 620 guests gathered for the sale of 27 exceptional bottles of cognac, and enthusiastic bidding saw the total spent reach €100,600. This money is to be presented to The Order of Malta to aid in the renovation of its clinic in Rochefort, Charente-Maritime. The most expensive sale was a five litre flagon of 1985 vintage Frapin – that had an estimate of €3,500-5000, sold for an eye watering €15,000. In second place was a Remy Martin La Coupe Speciale La Part des Anges, 2011 – which sold for five times its estimate, reaching €10,000. A bottle of Hennessy Timeless sold for €9,500. Organised by the BNIC, the night also paid tribute to Bernard Guionnet, following his sad death in April of this year. Dear sir, recently i got as a gift a Renault 3 Star Cognac, nd it seems like 30 to 40 years old, nd i would love to know the price range of this bottle! !